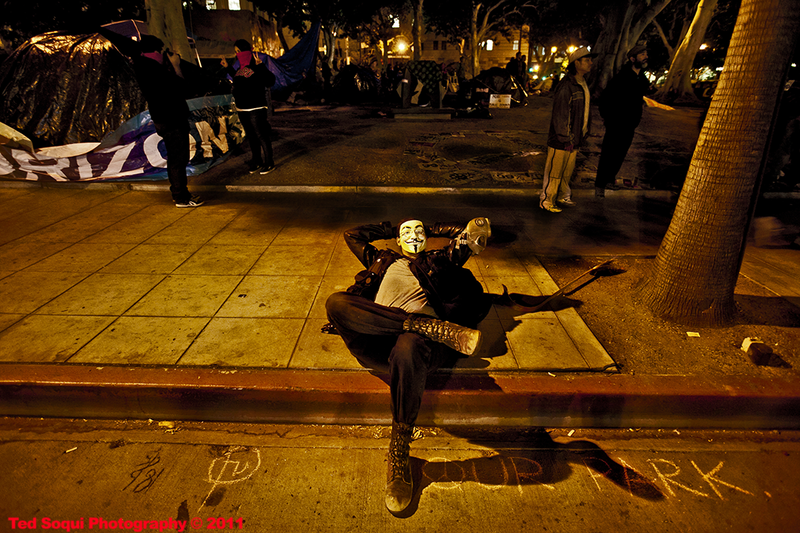 Photographed this person laying on the sidewalk during the Occupy movement at LA City Hall. Remember the 5th of November. Magic Hour On Wilshire Blvd.